Many professional triathletes spend their entire career chasing the ultimate prize, an Ironman win. Yet many fall short of the sport’s ultimate prize, but not for a lack of trying, as it is one of the toughest events both physically and mentally. 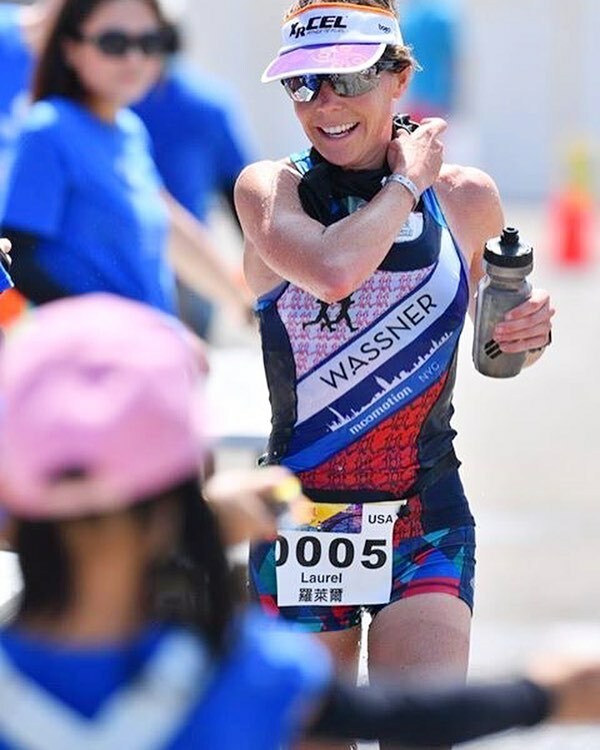 Thanks to hard work, perseverance, and endless preparation, XRCEL ambassador Laurel Wassner is a pro triathlete who will one day walk away from triathlon having stood on the top of the podium after her win at Ironman Taiwan. 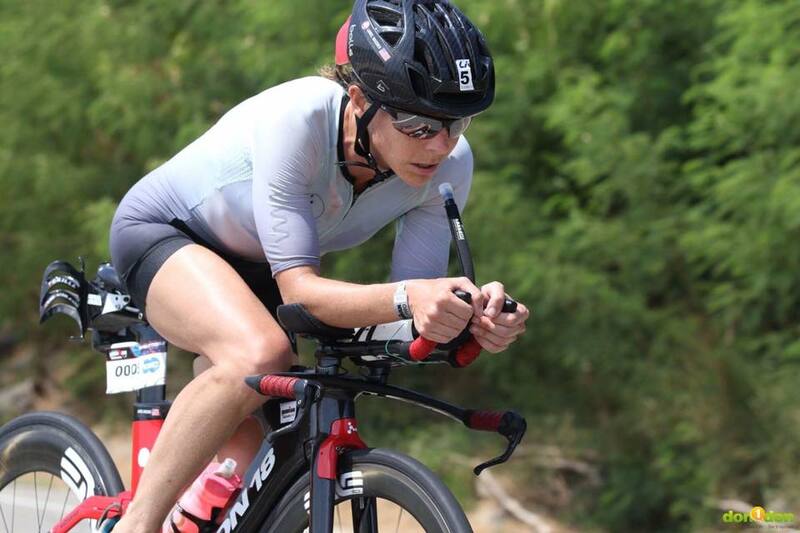 After battling and surviving cancer earlier in her career, Laurel is not only an Ironman Champion, but the first cancer survivor to win an Ironman event. We caught up with Wassner to find out why she decided to race halfway across the globe, how her race day unfolded, and how she’s recovering from one of the toughest Ironmans on the race calendar. XRCEL: What made you decide to race Ironman Taiwan, knowing it’s a very difficult race as far as the conditions and terrain? 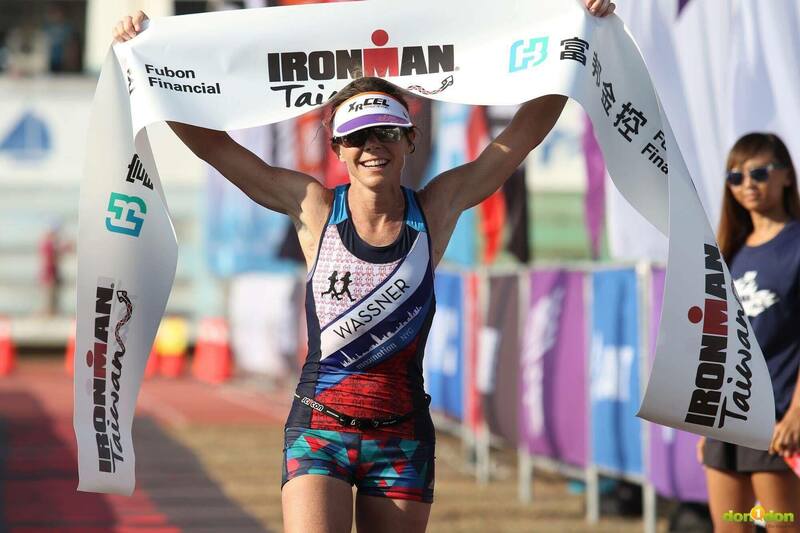 Laurel Wassner: I decided to race Ironman Taiwan for a few reasons. First of all, it fit into my schedule and gave me the entire summer to prepare for the race. My season got a late start after I raced Israman, a full-distance triathlon, in January and then I took my off-season break. I knew that I wouldn’t be in peak Ironman form until later in the year, so I decided to target a race in October. I chose Ironman Taiwan knowing that it is a very hot place and that the conditions would dictate the day, but I know that I tend to race better in hotter climates. Finally, I wanted to have the experience of racing in Asia. XRCEL: You raced and won Israman, which boasts one of the toughest bike courses in the world, as well as other races with tough bike courses, like Ironman Mont-Tremblant and Wildflower. What has drawn you to races with immensely difficult bike courses? LW: As a smaller rider, standing at 5’3″ and weighing 110 pounds, I need to choose races that have some hills in order to maximize my strengths and power to weight ratio. I am a natural climber, but in the past two years I have worked very hard on my time trialing and ability to hold my power steady while in the aero position for hours. XRCEL: When training for Ironman Taiwan, how did you prepare knowing the challenging course and conditions you would be up against? LW: Knowing that Ironman Taiwan was more of a battle with the conditions rather than a “fast” Ironman, I focused on getting strong and resilient instead of superfast. I still did speed work and raced several Olympic Distance races, but the focus was more on making sure I was a strong runner, meaning I could keep pushing throughout the race. I added in a lot of uphill runs, even pushing a 30-pound nephew in a stroller, almost every day for a month. XRCEL: What is your typical nutrition plan during a full-distance triathlon race? LW: My nutrition plan consists of 1 bottle of XRCEL before the start of the race to make sure I am fully-fueled and ready to go. Once on the bike, I take 1 XRCEL every 45-50 minutes on the bike, as well as a bottle of sports drink every hour. On the run, I start with 1 bottle of XRCEL at the beginning and take two more bottles throughout the race. I also added salt tablets due to the intense heat and humidity. XRCEL: During Ironman Taiwan, what adjustments did you have to make in your nutrition due to race day issues out of your control? LW: I pre-hydrated in the days leading up to the race with extra electrolytes as well as extra salt tablets. On the run, I had to take in a lot more fluids that I ever have because of the intense heat and humidity. XRCEL: You came out of the water 4 seconds ahead of 2nd place and then put the hammer down on the bike. What was your actual race strategy once you got on the bike? LW: My strategy for this race was just to race my own race and not worry about anyone else. I knew my biggest challenge was going to be getting through it in such extreme conditions. I rode the first hour a bit hard, but I didn’t feel out of control, so I kept my pace and power going. I rode with Charlotte Morel of France for an hour, and put in an effort to get across a windy bridge and get a gap on her. After the bridge, I was by myself, just sticking to my plan and trying to cool off with water at the aid stations. XRCEL definitely kept me going strong throughout the heat and the very hilly bike course. I got hot and uncomfortable, but I never felt low on energy. It was one of those days I never really got tired. XRCEL: At what point did you realize you had created a 10-minute lead as you started the run and how did that affect your race strategy? LW: I was still in earshot of the announcer and I heard him announcing 2nd place coming into T2 and saw that I had 10 minutes on her. At that point, I was entering the toughest part of the run and it was a struggle to keep going. I actually thought I’d have to drop out as it was that unbearably hot. However, after running four miles, I got some ice and that helped me out. It was at that point I realized that I could keep going, as long as I stayed cool. XRCEL: Even though you won by a 46-minute margin, were there parts of the day where the race got tough to manage? LW: I may have won by 46 minutes, but it was a very, very tough run. It was the kind of run where, even with a 30-minute lead, I didn’t know if I could keep going. I eventually had to stop looking at my pace because it was so slow. I actually ran well at different points of the race, but I walked and stopped at every single aid station. XRCEL: After battling and beating cancer, what did it feel like to win an Ironman race? LW: It was overwhelming emotionally because it was my first win at an official Ironman branded race and in extremely tough conditions. It actually fits really well with my life story. As I was running down the finisher’s chute, I was pretending that I was high-fiving my family. XRCEL: What did it feel like to win by such an epic margin at the pro level? LW: During the race, I still felt like I was going to get caught! When I saw the results, it was then that I realized I finished sixth overall, men included. I also saw that I had the fourth fastest marathon time overall and one of the few to go sub four hours. It was then that I realized I had done something pretty special out there. It means a lot to me to show my family and supporters that I was able to execute, not only the proper training leading up to the race, but also on race day. XRCEL What surprised you the most about your race in Taiwan? LW: I surprised myself by being able to turn around a poor performance in Malaysia the week prior and put in such a dominating performance in Taiwan. I learned that adjusting to that kind of heat, humidity, and time change is very important, but most importantly, I learned not to give up on myself. I had people telling me I was so fit and such an amazing athlete and I could win, but I think I was the last person to believe it all! This race taught me to believe in myself. XRCEL: After racing a grueling Ironman Taiwan, what role did XRCEL play in your recovery? LW: I had an XRCEL right after the race to help speed along my recovery. I think that XRCEL helps me feel better since it helps replenish my glycogen stores. It’s also easy to get down after an Ironman, when eating is not always easy. I even put one bottle in the fridge in my hotel so it was nice and cold when I got back. XRCEL: What is the next race on your calendar? LW: I’m going back to Asia to race the Bohol 5150 in the Philippines. XRCEL: After the Philippines will you take a break and what will you do in the off season? LW: My training will be less structured and I will have more time to dedicate to photography work where I will shoot things such as food, lifestyle, and, for the holiday season, I am focusing on portraits of families for holiday cards. If you’re in the NY/NJ area, send me an email (wassnertwins@gmail.com). I’m also going to start coaching triathletes and runners and will be announcing details soon. I am really excited for the opportunity to help others achieve their goals.